Maximillian Strasse-Her is definitely a special nail polish, which is probably the reason why it’s sold out in most places. 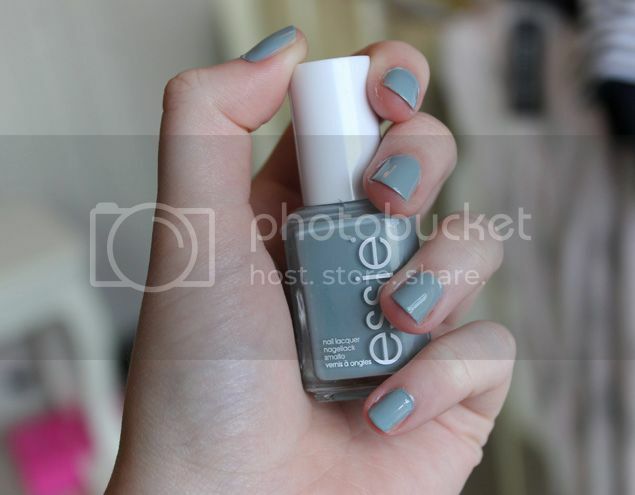 It’s a bit of a colour chameleon – a pale grey, sage coloured cream polish that’s unlike most I’ve seen, but with a little hint of duck egg blue so whatever light you’re in you get a different hue. It looks good for all manner of occasions, it’s muted enough to pass for a quirky twist on a neutral so would be good for work yet beguiling enough to wear on a night out. When first applied it does look a little streaky but seems to level itself out. I also find I need two coats as it’s just a little too sheer for my liking with a single one. 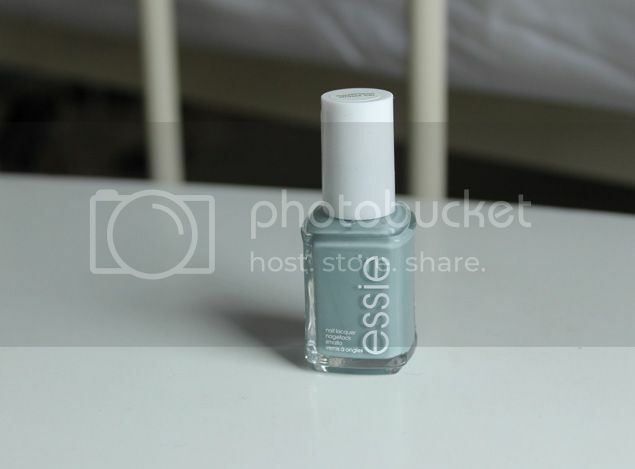 In terms of longevity it’s similar to other Essie polishes. A couple of days or so with a top coat before you get tipwear. If you’re out and about and spot this I’d recommend snaffling it up and adding to your collection, you’ll be glad you did.